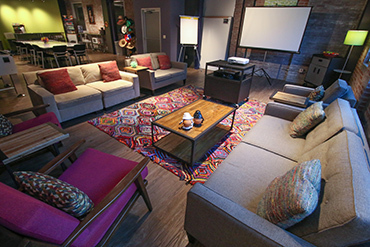 Take a tour of our creative meeting space. If you have been searching for a place to ignite (or re-ignite) your team’s spark, you’ve found it. There is something magical about sparkspace. Where does the magic come from? 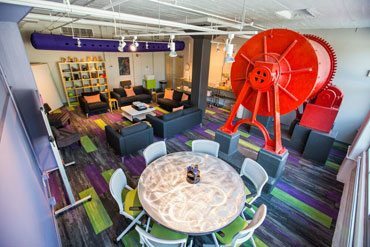 Our award-winning staff is at the heart of it all, along with creative meeting rooms that are the polar opposite of every boring meeting space you’ve ever found yourself trapped in. total privacy separated from our other rooms. Includes a stunning view, multiple breakout spaces and a 50 ft wall for posting up ideas. 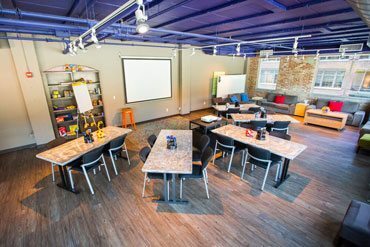 the loftThe second largest of our meeting rooms features loads of cushy furniture, views of the Arena District, bold colors, exposed brick, original artwork, and a foosball table. 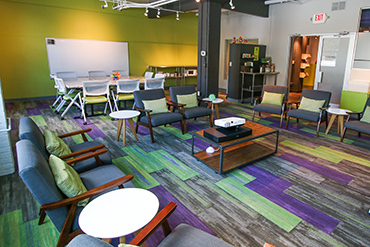 the retro roomThis large conference room is named for its slightly retro décor. It features loads of cushy furniture, original artwork, and a vintage, mint-condition velvet Elvis painting (for real). the zenergy roomUnique features include very zen-like curved couches, bold artwork, and large windows that open to let in tons of natural air and light. 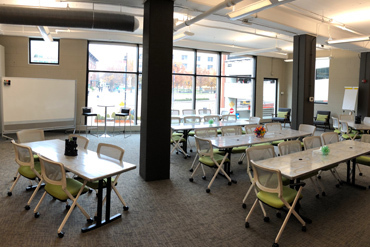 the think tankThis room is our most colorful space and includes lots of comfy furniture, large windows that open, and a great view of the Nationwide Arena plaza. 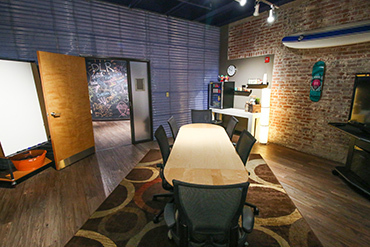 the board roomA cool little space for creative thinking, our version of a board room seats up to 6. Ideal for meetings that are a little too long for Starbucks.